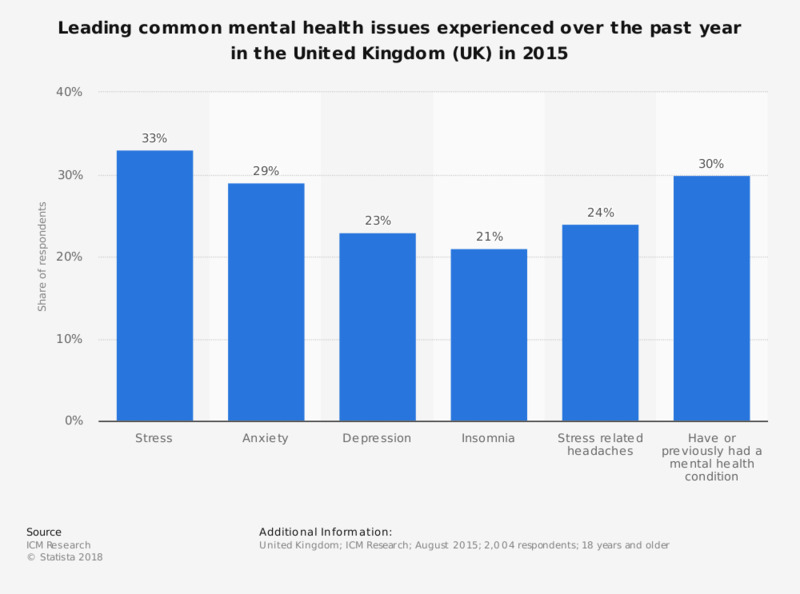 This statistic displays the most common mental health illnesses experienced over the past year in the United Kingdom (UK) according to a survey conducted in 2015. Of respondents 29 percent said they were experiencing anxiety problems. * Report does not specify date of publication, only Autumn 2015.